Modern life is highly dependent on the tech advancements. Modern tech devices have become inseparable from the lives of modern human. Starting from morning alarm to complete schedule management as well as for entertainment purposes, for almost every activity we majorly depend on different types of apps. For the increasing usage and demands of mobile apps, almost every day, different apps get launched for the leading mobile platforms. Mobile apps started for various industries, and agriculture industry is not left behind! Agricultural industry fulfills needs of food, energy as well as shelter. Integrating Tech advancements with agricultural industry will increase the productivity. Introduction of mobile apps into the agricultural industry by top mobile app development companies in usa will enhance full potential of agricultural yield. Embracing the mobile technology, the agricultural industry can witness unexpected growth. Such apps will be helpful for the tech-savvy farmers and the trend will pass-on to the next generation. IoT technology is introduced into the agricultural industry which amazingly has extended the limit of internet connectivity with the digital devices and the physical objects. With IoT technology, weather forecasts, remote water valves, pest control, system monitoring, food storage as well as transportation of data has gone easier. Information is exchanged with the farmers via sensors or mobile apps through the mobile phones. Different crops require varying atmospheric conditions and lands to yield higher. Combining the power of AI- Artificial Intelligence with IoT, the farmers can survey the land and get notifications on their mobile through the apps. With such advancement in technology, the farmers can smartly decide the crop that would bring higher profits with high production as per the suitability of atmosphere and land. Planting a good harvest is not enough to yield higher! Supplying the right quantity of water over the flooded area at the appropriate time is essential for higher productivity. Managing water supply is indeed a challenging task remotely. With smart humidity sensors, water valves along with a monitoring system, water supply can be achieved effectively via mobile apps. The entire data is accessed by the farmers through the mobile apps. Smart irrigation facilities and least wastage of water will efficiently help the farmers. Production of crops primarily influenced by climate or weather condition. Frequently changing environment could damage the plants for which the farmers will suffer huge losses. 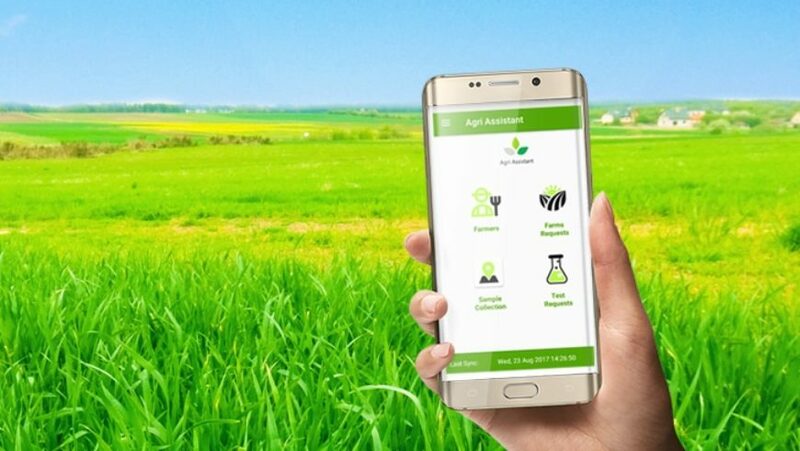 With the smart mobile apps, the farmers can quickly detect the weather information in advance and take appropriate measures in prior before deciding to harvest or plant crops. With the advanced mobile apps and IoT technology, the farmers get weather forecasts with high accuracy which are real-time based. Collecting such helpful information, the farmers can plan different agricultural activities with perfection. Farmers need right irrigation facilities, appropriate pest management and perfect weather for yielding crop production. The farmers need to measure and evaluate production regularly for which they need to monitor the field and growth. With smart technology, this important responsibility can be well managed from a distance as well! For checking soil temperature, air temperature, humidity, pressure, and much more essential things can readily determine with Remote sensors. The dedicated mobile apps can well manage all these tech works. After harvesting the crop, the farmers need to store the foods with safety. Crop storage is a significant responsibility for the crop production process. Correct crop storage methods must be followed to ensure growth in profits. Accurate temperature, air-control, humidity and pressure in the storage house must be maintained, and the farmers must remain updated with real-time information. With the latest IoT technology and involvement of advanced mobile app, technology helps the farmers to monitor the storage control in real-time. Advancement of technology is a boon for the farmers. Involvement of mobile app technology and latest IoT technology in the entire process is quite helpful for the farmers in many spectacular ways. 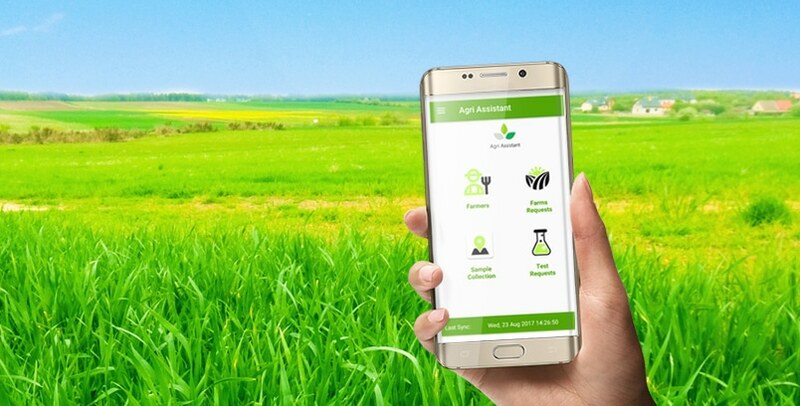 Realizing the importance and helpful features of mobile app technology, the agricultural industry in the developed countries embrace the new technology for increasing their productivity and profits! Mobile apps for education: Blessing or curse?